The pilot reported that, during landing, the airplane bounced. He initiated a go around, the airplane veered left, touched back down on the ground, and impacted trees. PARK TWP. (WHTC AM/FM) -- A homebuilt plane crashed at Park Township Airport, 1269 Ottawa Beach Rd. just before 10 a.m. Saturday, July 28, 2018. Park Township Fire and Ottawa County Sheriff's deputies responded to the crash, along with airport officials. Ottawa County Sheriff's Sgt. Brian Buter, a road patrol shift supervisor, had been at the U.S. Coast Guard Festival but came to the airport. "We learned that on his approach, he was at, I believe at 70 knots and on his initial touchdown, he bounced -- terminology for not having good, solid contact when he was hitting the runway to slow down and take off again," Buter said. That bounce threw the plane off just enough that his second landing attempt was unsuccessful, Buter said, and the pilot steered through the field, shutting down his engine to avoid propeller damage. The plane stopped near a stand of trees at the edge of the airfield. The pilot was uninjured, and declined comment when asked. The aircraft is a 2006 single-engine, fixed-wing homebuilt Van's RV-9A, according to FAA records. The plane is registered to John Boer of Holland, according to FAA records. "I'm sure our airport committee will meet early next week to review what happened," Keeter said. 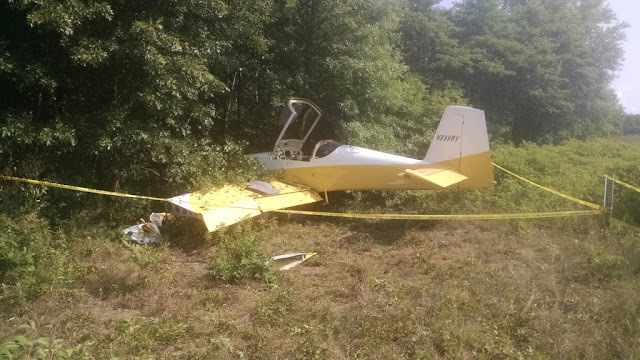 OTTAWA COUNTY, Mich. — The Ottawa County Sheriff’s Office is investigating a single-engine airplane that incurred a mishap during its landing and ended up in a wooded area Saturday morning. The incident occurred at 9:54 a.m. Saturday at the Park Township Airport located at 1269 Ottawa Beach Road. The investigation showed that pilot John Boer of the Holland area was returning from Oshkosh, Wisconsin, and was attempting to land on the runway at a speed of approximately 70 knots. During his touchdown on the west end of the runway he incurred a “bounce” on the landing and elected to retry the touchdown. However, as Boer was attempting to leave the runway he lost control of his Van's RV-9A, and the plane came to rest in a wooded area off the north end of the runway. Boer, who was operating solo, was not hurt. No other people were injured in the accident. There was some moderate damage to the plane. The Federal Aviation Administration was contacted and will be investigating further next week. 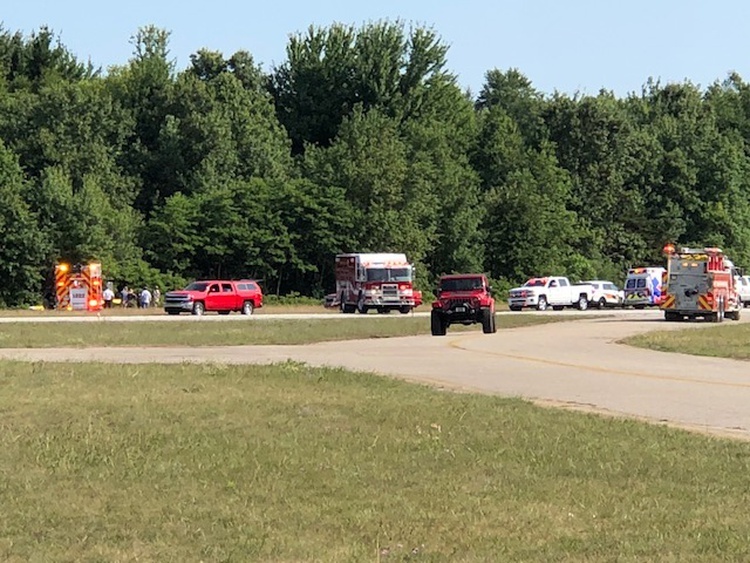 PARK TOWNSHIP, Mich. - The Ottawa County Sheriff's Office is investigating a single engine plane crash that suffered from a "mishap" at its landing and ended up in a wooded area of the Park Township Airport on Saturday morning. According to the sheriff's office, the incident happened just before 10 a.m. on Saturday. 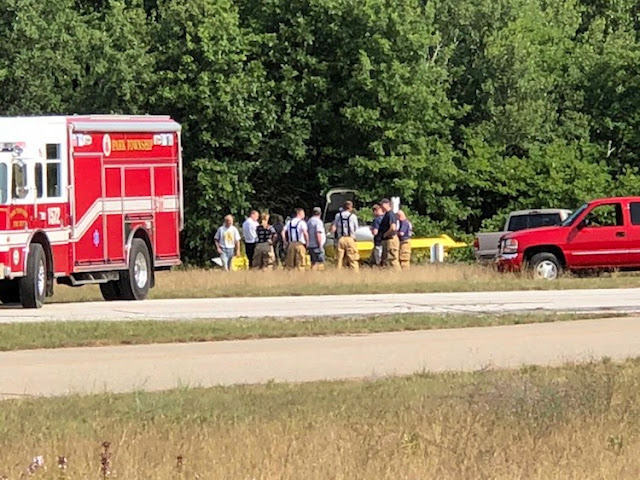 Holland-area pilot, John Boer, was returning from Oshkosh, Wisconsin and attempted to land a Van's RV-9A plane on Park Township Airport's runway at about 70 knots. During his touchdown on the west end of the runway, Boer incurred a "bounce" on the landing and tried to retry the touchdown, deputies say. When Boer attempted to leave the runway a second time, he lost control of the aircraft and came to rest in a wooded area off the north end of the runway. Boer was alone and uninjured in the incident. No one else was reportedly hurt, but there was some moderate damage to the plane. The Federal Aviation Administration was contacted and will be investigating further later this week.